Green tea benefits are numerous. With all the curative green tea properties, it’s no wonder so many are turning to this wonderful herbal remedy to improve their health. The most important difference when considering green tea vs black tea is the processing. Both green tea and black tea come from the same plant. However, green tea is less processed and thus has a higher concentration of powerful, disease-fighting antioxidants than black tea because of the fermentation process it goes through. Green tea also has the benefit of less caffeine than black tea, about half the amount, which is definitely a plus for those of us who are watching our caffeine intake due to sensitivities or preference. Utilizing green tea in weight loss programs has become a popular and healthy choice for many. Not only is green tea packed with disease-fighting properties, it also aids in weight loss by helping to burn fat and speed up metabolism, both very good things for those trying to lose weight. 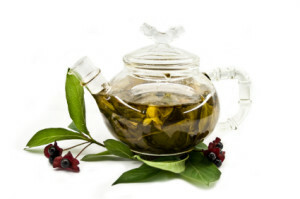 Polyphenols are the green tea “fat burner” antioxidants responsible for aiding in weight loss. They activate enzymes in the body that wipe out excess triglycerides in the body. This means less fat for you to burn off doing strenuous exercises. One such polyphenol in green tea called epigallocatechin gallate (or EGCG) along with the caffeine in green tea, encourages fat to be used as fuel, also helping to accellerate your weight loss efforts. This process, called thermogenesis, gives an energy boost, gets rid of excess water, and helps to burn fat in the body. If you decide to utilize green tea to lose weight, keep in mind that no one thing is a “cure all” for weight loss. As such, it’s best to combine the health benefits of green tea with good diet and exercise in order to effectively lose weight properly and have greater long-term success. If you have diabetes and green tea has been something you have considered drinking or taking in supplement form, know that another of the green tea benefits is its ability to lower blood sugar. EGCG can enhance insulin’s action in the body by enfluencing the way glucose is absorbed. Also, EGCG can possibly act like insulin in the body to inhibit the liver’s production of glucose, lowering blood sugar in the process. Another benefit of green tea for diabetics is a possible reduction in the amount of glucose passed into the blood stream, thus preventing blood sugar spikes when green tea is taken with meals. All these green tea health benefits should be enough to convince you to start drinking green tea regularly or take a green tea supplement containing green tea extract.